SXSW Gaming Conference and Festival has announced the winners for the 2017 SXSW Gaming Awards sponsored by IGN and Imaginary Forces. 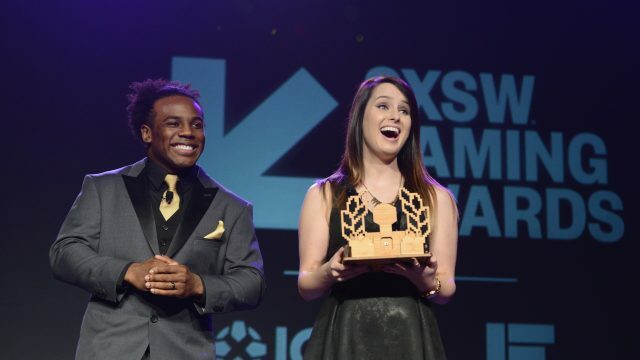 The winners in 23 different categories, were revealed during the fourth annual Gaming Awards ceremony, which was hosted by WWE® Superstar Xavier Woods® and popular gaming broadcaster OMGitsfirefoxx. Award winner highlights include Game of the Year winner Uncharted 4: A Thief’s End (Sony Computer Entertainment / Naughty Dog); Mobile Game of the Year winner Pokémon GO (Niantic); Esports Game of the Year winner Overwatch (Blizzard Entertainment); Tabletop Game of the Year winner Arkham Horror: The Card Game (Fantasy Flight Games); Trending Game of the Year winner Overwatch (Blizzard Entertainment); and Fan Creation of the Year winner Brutal Doom 64 (Sergeant_Mark_IV). Finalists for the SXSW Gaming Awards categories were selected and voted on by the SXSW Gaming Advisory Board and select staff, consisting of more than 40 industry experts well-versed in everything gaming and geek culture. Once finalists were revealed, the general public, along with the Advisory Board, were invited to cast their vote on IGN.com to help determine the winners in each category, which were unveiled and honored at tonight’s SXSW Gaming Awards ceremony. The SXSW Gaming Conference & Festival is a unique combination of geek and gaming culture featuring Expos, Awards, and Programming over three days. For the full list of 2017 SXSW Gaming Award winners, visit gaming.sxsw.com/awards.